Windsor Leadership provides transformational leadership programmes for senior leaders across all sectors, including corporate, public, military, education, faith and not-for-profit. They specialise in providing experience-led development programmes for senior leaders, at Windsor Castle. The programmes focus on facilitated learning in a peer-to-peer environment. They challenge leaders to think differently, explore their own leadership style and consider the wider impact of their leadership. The Emerging Strategic Leaders Programme is for senior operational leaders who already have significant leadership experience and are taking on more strategic responsibility. You will focus on developing your own leadership style as well as gaining insights into how to handle difficult leadership challenges. This programme assists those in senior leadership positions looking to develop their strategic thinking. You will focus on the wider demands of what strategic leadership means and how to facilitate and implement change in a complex environment. 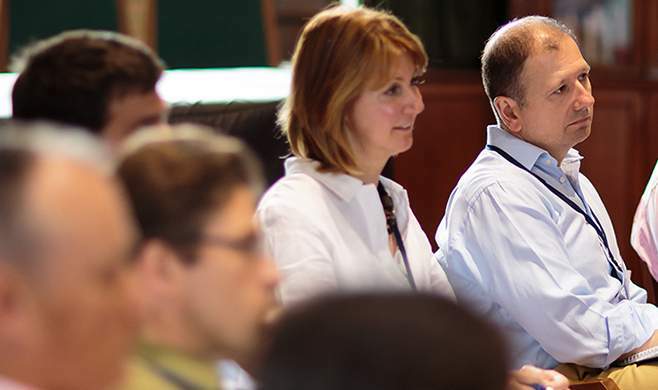 This programme enables senior executives to become more effective, by exploring with others at a similar level, the responsibilities and challenges of strategic leadership. You will focus on difficult leadership challenges that come with ultimate responsibility, managing resilience and isolation, and handling complex relationships, such as the chair and board.